Oh so elegant! 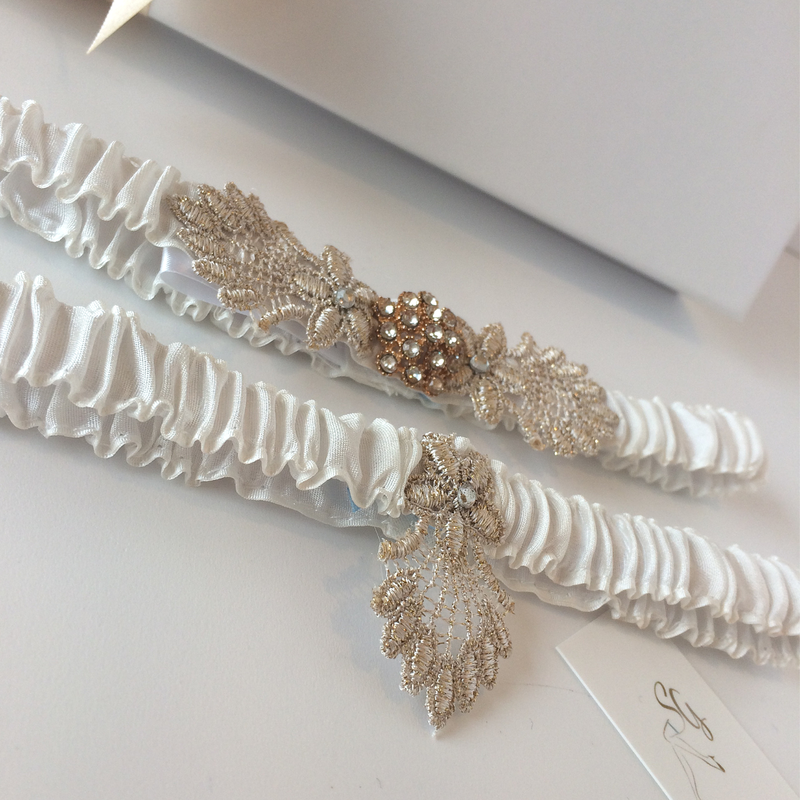 Ivory and gold pure silk wedding garter set. This is Gatsby, a gorgeous Art Deco style set, perfect for a boho bride. Lovely flower and fern, old gold, embroidered guipure lace appliques and crystals. Each garter just 1/2" deep. The dainty little toss garter is the perfect foil for the main garter.